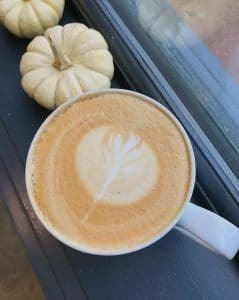 Must-Try Hot Coffee Drinks for Cold Days in Dallas | Village Baking Co.
Well that was fast. It seems like just yesterday we were complaining about toasty October weekends in Dallas, and now it’s so cold that the Internet is shutting down. Luckily, we at Village Baking Company are a team of quick thinkers. We adapt on the fly. 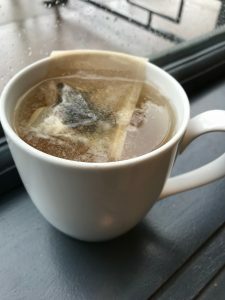 Of course we have a bevy of cold beverages on hand for the elongated summer, but we’ve also got a host of hot drinks to get you through the colder months! That includes some fantastic coffee creations to help you warm up and wake up on these chilly mornings. Here are our must-try hot coffee drinks for cold days in Dallas. It’s a seasonal must, and we’re happy to oblige. 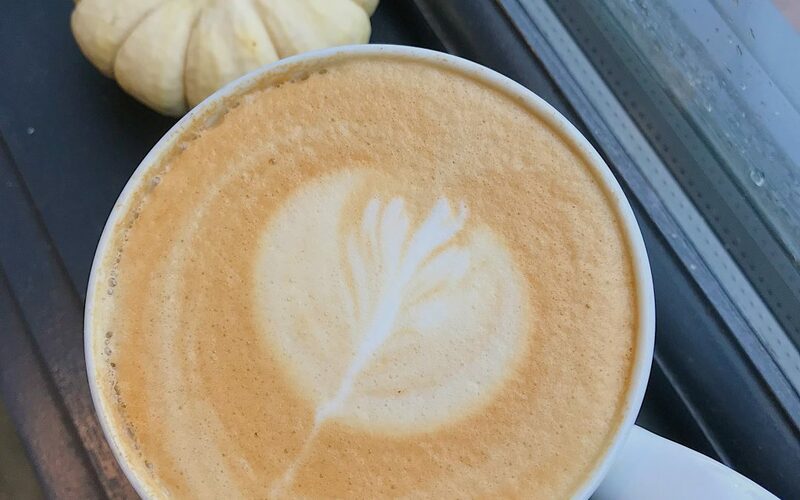 Over the past decade the pumpkin spice latte has amassed quite the fame (or infamy, depending who you ask) as a fall staple. We’re happy to oblige those pumpkin pie urges with our own take on this popular beverage. Good news for our dairy-free friends: Our house-made syrup recipe doesn’t contain any dairy, so you’ll be able to enjoy an almond milk version of this limited-time libation. Baking is an early (like really early) morning activity, so we all get a little bit drowsy in the afternoon. The cortado is a light, simple pick-me-up to recharge you for the second half of your day. 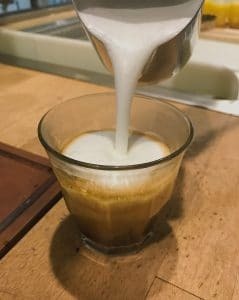 Equal parts steamed milk and espresso impart plenty of that quintessential coffee flavor to this beverage, as well as a drinkability that is perfect for afternoon sipping. We love being able to dabble with different recipes and formulas. (Doing it ourselves has always been a part of VBC’s philosophy.) That’s how we landed on a honey lavender syrup for our lattes. This light, refreshing addition to your espresso beverage packs plenty of aromatic flavor on cold October mornings. Not everyone is a coffee drinker, and sometimes, even coffee drinkers look for an afternoon alternative. Our VBC Tea blend is a mixture of green and black teas that features undertones of citrus and grapefruit. Hot tea on a cold day seems to melt all troubles away! Hot drinks can warm you up and bring you back to life on frigid days. If you’re in search of hot coffee or tea to keep the chills at bay, Village Baking Company has you covered. Plus, nothing goes better with a piping hot cup of coffee than a delicious pastry. To learn more about the availability of our offerings, you can contact either Dallas, TX Village Baking Company location at 214-951-9077 (Woodall) or 214-821-3477 (Greenville).